Scientists in Mexico have found that substances in the Tequila agave can improve absorption of calcium and potentially improve bone density. Researchers at the Center for Research and Advanced Studies in central Mexico have demonstrated that, in mice, the absorption of calcium and magnesium was improved when they consumed compounds from the tequila agave. 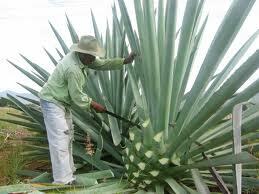 The procedure involved giving agave fructans, a polymer of fructose molecules, to mice with induced osteoporosis. Eight weeks later a femur sample was taken from the mice to measure the absorption of minerals and osteocalcin, a protein that indicates the production of new bone. Dr. Lopez said her team found that “mice that consumed this fructans synthesized nearly 50 percent more of such protein, in addition that the diameter of their bones was higher compared with the subjects which were not supplied with derivatives of the agave”. The researchers are now planning to conduct clinical trials to gather further evidence of the effectiveness of agave fructans and its potential in alleviating osteoporosis.